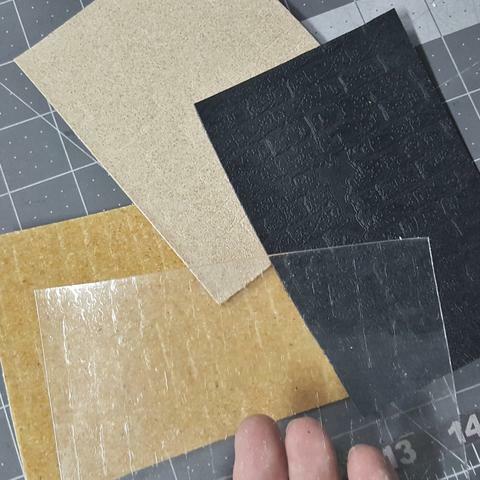 Darth Cleavage did some tests for us about running Worbla through a Sizzix die cut machine, and shared her results below! I find that taking on a massively detailed commission just a few months prior to a major convention often leads to these amazing, “Holy crap! Why didn’t I think of that before?” kind of moments. Crazy, yes. But crazy inspirational, too! After realizing I was going to spend a few hours hand cutting fabric into detailed leaf motifs, I suddenly recalled those few years I spent dealing ink and paper to the scrapbooking crowd and remembered how quickly I was able to churn out identical designs with my die cutting machine. Once again, my Amazon Prime membership proved it’s worth and I had a new Sizzix Big Shot on my doorstep in less than 24 hours. Then I started thinking (a dangerous pastime, I know) if this machine could cut through marine vinyl, what other materials could be used? Well, thanks to Worbla, I recently got the opportunity to try it out with their full line products and now I get to share the results with you! 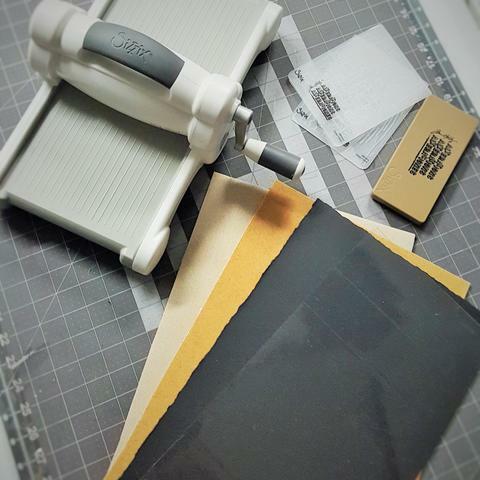 Sizzix has a wide range of machines that meet a variety of applications, but I ultimately opted for the Big Shot because I felt it covered all my bases. You can use just about all of the cutting and embossing tools with this machine, the exception being the extra large dies. There are many other die cutters out there, but I was familiar with this brand and there are tons of “how to videos” available. For that reason and the sake of brevity, I’m not going to go into detail about how I used the machine. I mean, why read my description when you can go watch the experts show you how to do it? 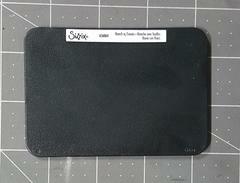 If you head over to the Sizzix site you can look through the entire product line. As much as I would have loved the excuse to stock the shop with one of everything, they do a great job of pointing out the material that each product is most suited to. 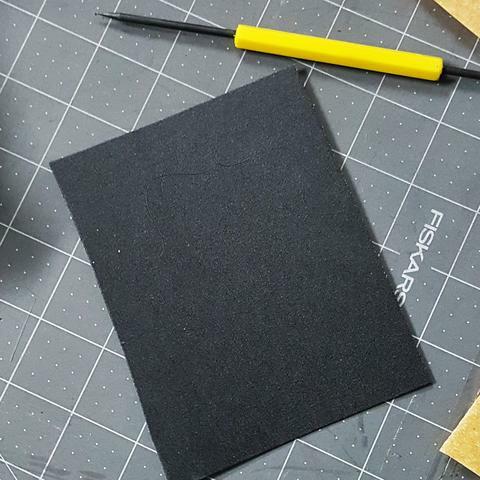 My own experience with the machine and with Worbla led me to narrow it down to four distinct products that I thought would have the best chance of success in my experiment. As for the specific pieces I chose, I went with designs I thought I’d actually use in the future. 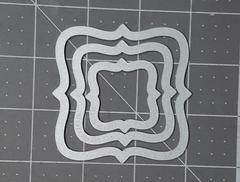 Think of this type of die as a metal cookie cutter encased in foam. When you run it through the machine, the die is pressed down into the material and cuts through it. The foam helps keep the material from getting stuck in the cutting mechanism. These work the same way as the Frameworks Die, but are substantially thinner. Working much like the Sizzlets, these free floating pieces are thin and allow you to add even more detail into your cutting. You can pair them up with other dies to create custom designs. Unlike the previous three products, this simply impresses a design on your material rather than cutting it. 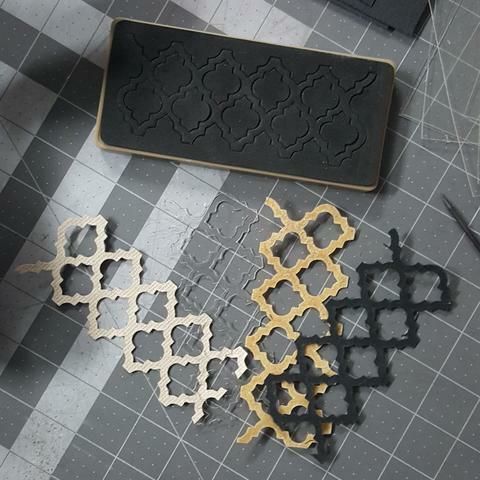 I was able to use all four of the current offerings from Worbla: Finest Art, Black Art, Mesh Art, and TranspArt. I’ve only ever used Finest Art so I was excited to get my greedy little hands on the other options and had formed some hypotheses about how this would go. Here’s one thing I learned immediately: Everything worked better when the Worbla is heated. You want your pieces warm and slightly pliable but not too hot. The Black Art and TranspArt were the easiest to work with in that I could get them pliable without them getting sticky. I had to walk a finer line with the Mesh Art and Finest art. The good news is that if they do adhere to your cutting tool you can just let them cool down and they’ll pop right off! Another thing to note is that I used Sizzix’s recommendations for running all of the pieces through the machine. Each product comes with a blurb explaining what materials you need for the given task, the multipurpose platform also has diagrams pointing these out, and you can always head over to their YouTube Channel for videos. I started off with the Frameworks Die because I had already done a test with one of these babies and knew it would work. Guaranteed success sounded like a good start to me, and all four materials cut as easily as I expected. I rightfully suspected the TranspArt would offer up the least resistance and wondered if the Mesh Art backing would cause an issue, but it didn’t seem to be a problem at all. Following on the success of the first die, I decided to go with the Sizzlets next. This was clearly not as successful as I only managed the get the barest of impressions on the TranspArt and Black Art. There’s almost no indication of an impression on the other two which I think can be attributed to both the thinness of the die and the grainier texture of these two types of Worbla. 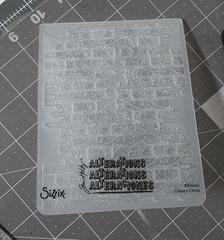 However, if you are looking for something that gives an etched appearance, this could work. I’d just be cautious with your heat application. The Framelits were even less successful than the Sizzlets and barely left an impression on the Worbla. With the Finest Art and Black Art I tried both sides of the material to see if there was a difference. Nope. After the meh results of the two of my four options I didn’t have much hope for the embossing folders, but ended up really pleasantly surprised. 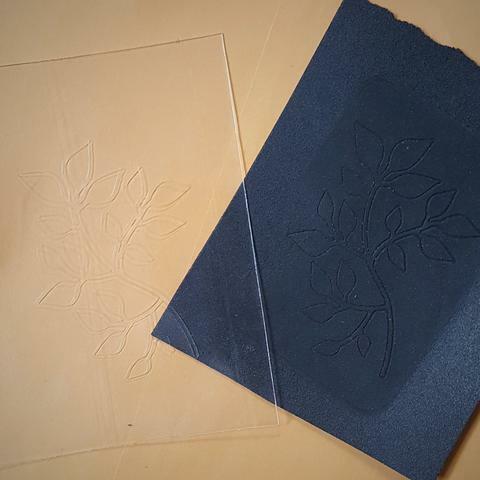 Here they are in order of the highest to lowest quality of embossing: Black Art, TranspArt, Mesh Art, Finest Art. There is a major caveat to keep in mind, though: If you reheat and stretch the material, you will alter or possibly lose some of the design. Since you’ll have to run all your pieces through the machine before you apply them, this is realllllllllly important to keep in mind. One of the cool things I discovered along the way is that there are a number of companies that will make custom dies from your designs. If you were going to mass produce a piece for sale or even if a small investment would save you a great deal of time on one costume, it may be worth the price. Unfortunately, they don’t provide general price ranges for the designs so you’ll have to submit a quote request to get detailed information. As with any experiment, you often learn as much from your failures as your successes and I’m perfectly OK stating that my expectations weren’t 100% on. I can see myself trying out the embossing folders provided that I did some experimentation with the design to make sure I could heat it up without too much distortion. I am also very happy with the results of the large format dies and can see using some of them for future projects. If you have any questions please do not hesitate to reach out. I’ve benefited greatly from others who have shared their experiences and am happy to pay it forward. With thanks again to Darth Cleavage for sharing her results with us!